Posted October 8, 2018 by Astrid Mallet & filed under Beauty, Clients. Say hi to our latest #PushBEAUTY client – cruelty free and eco-friendly NAVY Hair Care! NAVY crafts and curates a distinctive line of products that will take hair care by storm. Their mission isn’t only to help you discover your perfect look – NAVY is here for you to savour the feeling of great hair. The brand wants to rouse the senses, spark imagination and supply you with the full control and confidence to navigate your own course. The NAVY Collection consists of Search & Rescue Shampoo and Conditioner, Style Navigator Prep & Finish Spray and the newly launched Pebble Beach Dry Texture Spray. 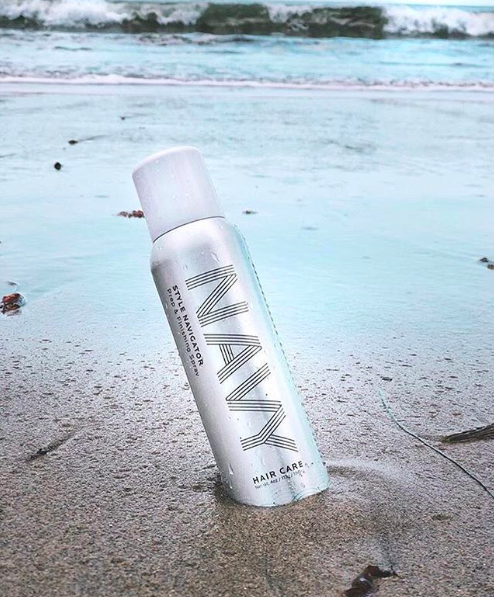 Come and try NAVY Hair Care at our #PushCONNECT Showcase on the 16th & 17th October at the Push PR Showroom! For all press and media enquiries email Holly Mash on holly@pushpr.co.uk.